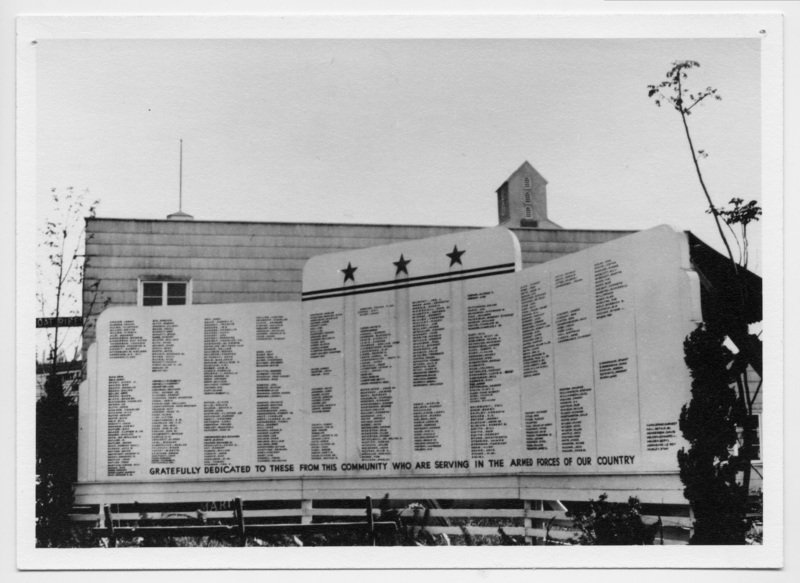 World War II Service Board-Oswego. Description Pinholes in corners. May be near the Oswego Service Club along the Bay. See also photo 435b. Transcription World War II Service Board-Oswego.